*If your group is 6 or larger, please contact Nichole ahead of time. The is a change we have hinted at for about a year. As Brandon and I have looked at the future of Gramercy, we are moving toward a predominately single vineyard model for Syrah. We are so fortunate to work with three of the best Syrah vineyards in Washington State – Les Collines, Red Willow and Forgotten Hills. They are very different sites with very different expressions. So why should we blend them? Why not take everything we are doing, i.e. native ferments, sustainable viticulture, minimal intervention and apply it to single vineyard Syrahs? And besides, the last few vintages of both the Deuce and Lagniappe have essentially been single vineyard wines. A quick review of Les Collines. 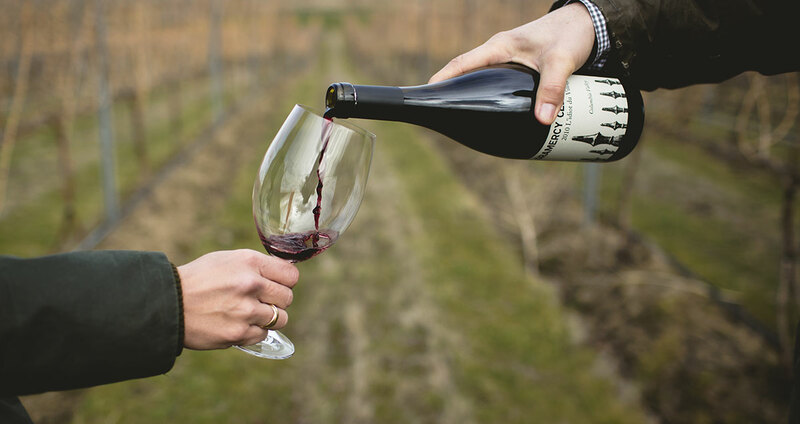 Located in the Blue Mountains on the eastern side of the Walla Walla Valley, Les Collines sits between 1,140-1,370 feet elevation and our sites are on the upper slopes between 1,250 and 1,370 feet. We work with three of the upper blocks at Les Collines – Block 36, Block 46 and Block 49. Block 46 is the base for John Lewis Syrah. Block 49 is above Block 46 which we grafted from Cabernet Sauvignon to Syrah in 2014. The upper slopes have near perfect drainage and exposure with shallow topsoils. The roots must dig deep into the subsoils and bedrock for minerals, water and nutrients. These factors create a healthier plant with perfectly balanced fruit. The 2016 Les Collines Syrah was fermented with native yeast ranging from 20 to 24 days in concrete and stainless steel. As with most Gramercy Syrah, this wine was fermented 100% whole cluster. The wine was aged in a combination of neutral French oak 20 hectoliter (hL) Stockinger cask (or Foudre) and 500-liter puncheon for 15 months. The 2015 Columbia Valley Syrah is, perhaps, the most complex and complete release of this wine to date. Why? Most importantly, the 2015 vintage. The 2015 vintage is particularly strong for our cooler climate vineyards such as Forgotten Hills and Oldfield because we were able to harvest later than usual with lower than average sugar levels. The result – freshness, elegance, and complexity. The 2015 vintage blend of this Syrah is similar to the 2014. We based the blend on our estate vineyards Forgotten Hills and JB George. They provide a fresh, earthy, acid driven base for the wine. The Yakima area vineyard Oldfield provides red fruit and freshness. Ancient Stones Vineyard in the Rocks adds depth, structure and trademark flavors of pepper, smoke, and funk. If you don’t know about SommSelect, I can’t recommend their offerings more enthusiastically. I buy many wines for my cellar from them: full retail, no friends of the owner benefits, nothing. Ok, maybe once in a while I get a bigger allocation of something great and rare. This wine is aged 15 months in neutral French barrels with about 56% whole cluster. Usually, we tell you to wait to open our Syrah. However, this one is pop and pour ready today. Or follow the usual instructions and it will reward you in the future. Either way, we are really proud of this Syrah. Tasting Notes: Red and dark fruits. Blueberry, raspberry, leather, saline. Meat, smoke and that Rocks Funk. Violets, roses, tapenade and peppery herbs. Rich, medium to full-bodied but with crisp acidity and energy. A stunning representation of Washington Syrah. AGING: 15 months in neutral French barrels. 56% whole cluster. When we first started making Third Man, it would take us the same amount of time to blend this wine as every other wine combined. To begin, we always start with the basics, established in France a long time ago – 80% Grenache, 20% Syrah. What does the wine need? Freshness and earth? Add Syrah. Meatiness and tannin? Add Mourvèdre. Mid palate and a little something extra? Carignan. We are not, however, wedded to this ratio. I can easily see a blend of 33% each Grenache, Syrah, and Mourvèdre. In 2012, we asked Olsen Vineyard planted head trained (Gobelet) Grenache for us. This style of planting is the most prevalent in the world, dominates the great vineyards of the Southern Rhone and is proven to make remarkable Grenache. We are so excited for what this adds to The Third Man blend. This Grenache has shown exceptional quality level for a planting so young. In fact, we are already fermenting the block with 100% whole cluster. With the benefit of shading on the clusters to prevent sunburn and getting fruit closer to the ground, we achieve greater concentration of flavors and firmer structure in the grapes. The 2016 Third Man is 75% Grenache, 13% Syrah, 12% Mourvèdre from Olsen and Alder Ridge Vineyards. The Alder Ridge Vineyard contributes power and structure, while the Olsen Vineyard lends elegance and grace to the blend. In 2015, the finished wine was 85% whole cluster. In 2016, we upped the stem percentage a bit to 90% whole cluster. Tasting Notes: Cranberry, raspberry, blackberry, plum. Bright, fresh and alive in the glass. Some white pepper, smoke, meat, black pepper, and red flower. Dense and elegant on the palate with fresh acidity. Provence herb, rock/mineral, black and blue fruit on the palate. Many people, even longtime Gramercy drinkers, don’t realize that we own three estate vineyards. When in fact, after establishing the winery in 2005, one of the first things Pam and I did was purchase a vineyard – our JB George vineyard. In 2007, we entered into a partnership with seven fantastic wine industry partners to plant Octave Vineyard in the new Sevein area of Walla Walla AVA. We also purchased Forgotten Hills Vineyard for Syrah in 2013. Then we promptly forgot that we owned these two first vineyards. We did this on purpose. Our goal with estate fruit was to let the vines mature as well as give Brandon and me an opportunity to learn these vineyards. We wanted to get to the point where they could stand alone as a wine. Now, 12-14 years on, we feel the vineyards are ready to be shown as estate bottlings. In the true nature of the MTA offerings, the actual wine will vary depending on what the vintage gives us. Our first offering is an ode to Bordeaux. With a cooler summer for the 2016 vintage, it was ideal for a Merlot based blend. During a warm summer, the ripeness can get out of control for early ripening varietals like Merlot. The 2016 vintage being cooler, we ended up with opulent, acid driven, herbaceous and balanced fruit. Sourced entirely from our 5-acre JB George Vineyard, across the street from Pepper Bridge Vineyard, the 2016 Gramercy Estate Red is a blend of 80% Merlot, 10% Cabernet Sauvignon and 10% Cabernet Franc. The wine was fermented with native yeast in a combination of concrete tank and closed top stainless steel tank. The wine was pumped over 2 – 3 times a day. We aged it in 30% new French oak for 22 months. Tasting Notes: Mix of red and dark fruits. Ripe and lush, but still fresh. Gravel, green herbs, cola, tar, cedar, red flowers, violets, plum. Medium acidity with moderate tannins. A fantastic example of Walla Walla Valley Merlot. My love for Cabernet is growing so deep that I’m am now getting mocked by 25 year old sommeliers in New York City. On a recent trip, I suggested we order a fantastic classified Bordeaux. (I’m not throwing down for First Growths. There is now a lot of value in Bordeaux.) One of them commented – Dude, you are OLD. Next, you are going to want to order Port. Fully mocked. But sorry, I have grown to love well balanced, thoughtfully made, terroir-driven Cabernet, especially in Washington. As we said in 2014, the Cabernet Sauvignon always contains two vital parts – Phinny Hill and Sagemoor Vineyards. They are like chocolate and peanut butter together. The 2015 Cabernet Sauvignon is about 60% Phinny Hill Cabernet Sauvignon and 20% Bacchus Cabernet Sauvignon. Each vineyard contributes vitally to the final blend. Phinny is backbone and elegance; Bacchus, as the vines are 45+ years old, is all about power and complexity. A few years ago, we acquired the oldest block of Merlot at Pepper Bridge Vineyard. It’s an ideal complement to this wine. Some may ask – why Walla Walla Merlot? I feel if they didn’t make that movie Walla Walla Merlot would be an iconic variety in Walla Walla. I always grin when Chuck Rhoades gets messed with in Billions. Punishment for the Merlot comments. Walla Walla Merlot adds intensity and complexity in the mid-palate that is unique to Walla Walla. Adding Merlot from other areas doesn’t ignite the spark for us. Walla Walla Merlot is the smack that Cabernet loves and needs. The 2015 Cabernet is a blend of 83% Cabernet Sauvignon, 15% Merlot and 2% Petit Verdot. It was aged in 50% new French oak and the remainder in 2-5 year old French barrels. While we have been using Forgotten Hills since 2005, this is the third release of a vineyard designate Forgotten Hills for Gramercy. Located at the base of the Blue Mountains, the vineyard is under constant attack by cold weather, even during harvest. While not in the Rocks District, it sits on a pan of exposed basalt, aka volcano rock, which gives the wine deep minerality. Yes, terroir exists. End of story. We also fermented this wine in concrete, now our definitively preferred method for Rhône variety fermentation. Forgotten Hills is all about acidity, mineral, smoke, blood, and iron. It is hard-core Syrah, for those that love the Old World. It starts life full of red fruit, then gradually the funk develops after about a year. We are incredibly proud of this wine. It is maybe our favorite wine of the 2015 Syrah’s. We fermented this wine with 75% whole cluster in concrete (yeah concrete) and stainless steel. The Forgotten Hills was aged in a mix of older 225L and 500L puncheons for 18 months. AGING: Fermented 75% whole cluster in Concrete. It was aged in a mix of older 225L and 500L puncheons for 18 months. This is our fifth release of Mourvèdre. The popularity of the L’Idiot is mind-blowing. It sells out faster than any other wine at the winery. As I have said many times before, Mourvèdre is at home in Eastern Washington. We continue to be blown away by the complexity and intensity of the Mourvèdre from both Olsen and Alder Ridge Vineyards. Each vineyard contributes very different aromatics and structure. Olsen Vineyard, near Red Mountain, is all about red fruit, freshness, and aromatics. Alder Ridge, which sits on the Columbia River in the Horse Heaven Hills, brings black fruit, depth, and structure. The 2015 L’Idiot is 95% Mourvèdre, mostly from Olsen Vineyard, with a small portion from Alder Ridge Vineyard. We fermented this wine in both concrete and stainless steel with 60% whole cluster and aged the wine for 15 months in old oak. Tasting Notes: Red raspberry, cherry, fresh blackberry, garrigue, mineral, stone, tar, gravel, finishes sweet fruit, sweet cream, orange peel, smoked meat. AGING: 60% Whole Cluster Fermentation and aged for 15 months in old French Oak. The 2015 is our fourth Reserve Cabernet Sauvignon. Like the John Lewis Syrah, we base the Reserve Cabernet on the idea of “What is the best of the best in the cellar for that vintage?” Sometimes it’s a specific block of a vineyard. Other times, it is two vineyards nearby or in the same AVA. Then again, it can also be that we find two or three vineyards that pair amazingly well in that specific year and produce a stunning wine, regardless of what the map says about each’s location. The goal – to make the most interesting Bordeaux based varietal wine in that vintage. For all four releases of Reserve Cabernet, the base is the 45+ year old Bacchus Block at Sagemoor Vineyard. Over the 4 releases, its companion, however, is a 2-2 tie. In the 2012 and 2013 vintages, Phinny Hill completed the blend. In 2014 and now in 2015, our estate vineyard Octave in Walla Walla proved best. The 2015 Reserve Cabernet Sauvignon is composed of about two thirds Bacchus Vineyard near Red Mountain and one third Octave Estate in Walla Walla. The wine was fermented for approximately 30 days with native yeasts. Aging for 22 months in 60% new French oak. The wine was bottled unfined and unfiltered. Why Phinny Hill or Octave Estate in the blend? We find that Bacchus-Phinny Hill blend is complexity and finesse. Bacchus-Octave is more about complexity and power. The 2014 and 2015 vintages are Cabernets with massive power and complexity. Tasting Notes: A monumental wine that’s drinking well now but will cellar for 20+ years. Cranberry, blackberry, cassis, red plum, red flowers, sage, tarragon. Gravel, pencil lead, saline, dust, mineral and forest floor. Savory with medium plus acid. Firm, fresh and focused with unabashed length on the finish. Full bodied with sweet vanilla. Complexity abounds. AGING: 22 months in 60% new French Oak. Greg Harrington is the founder of and winemaker for Gramercy Cellars in Walla Walla, Washington. His winemaking focuses on great Washington vineyards, minimalist intervention, and balanced, earthy wines. At Gramercy, he focuses primarily on Rhone and Bordeaux varietals. In 2008, Seattle Magazine named Greg “Best New Winemaker in Washington” and Gramercy “Best New Winery.” Food & Wine Magazine awarded Gramercy the “Best New Winery in America” in 2010. Wine & Spirits Magazine has named Gramercy to its “Top 100 Wineries in the World” list in 2010, 2011, 2012 and 2013. In 1996 at the age of 26, Greg Harrington passed the Master Sommelier Exam, a title held by fewer than 130 people in the U.S. He currently serves as Chairman of the Court of Master Sommeliers Americas. 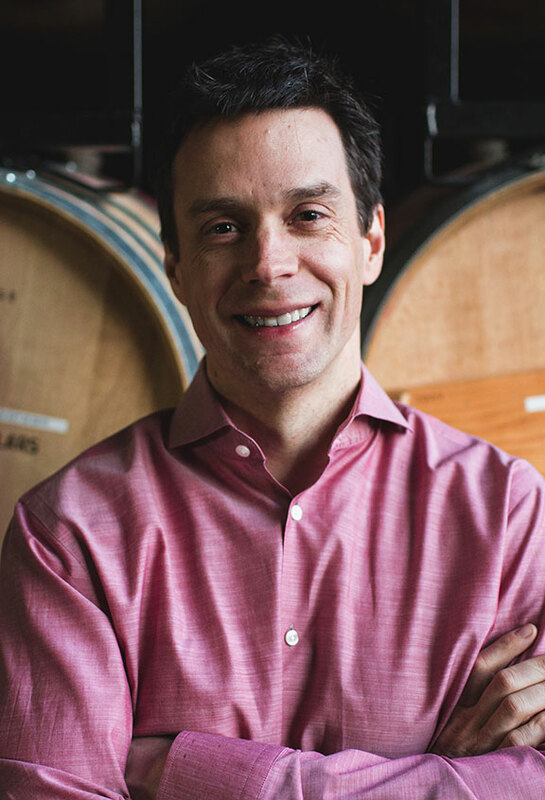 A 1992 graduate of the Cornell School of Hotel Administration, Greg began his career in wine as a sommelier at Joyce Goldstein’s Square One restaurant in San Francisco. From San Francisco, Greg travelled to New Orleans to serve as wine director for Emeril Lagasse’s restaurants in New Orleans and Las Vegas. While with Emeril, Greg developed a wine program that earned Wine Spectator’s Grand Award, which has been awarded to fewer than 100 restaurants in the U.S. He then moved to Las Vegas to join the Wolfgang Puck Fine Dining Group, which includes the Spago, Postrio, and Chinois restaurants, as an associate partner and wine director. Greg’s last foray in the restaurant business was in New York City with Steve Hanson and BR Guest Restaurants and James Hotels. There he oversaw the wine and alcohol programs for 15 restaurants and hotels in New York City, Las Vegas, Scottsdale, and Chicago. Greg is a Christian and attends Churchome in Seattle. He is regularly involved with charitable causes locally in Walla Walla and Seattle, as well as across the United States. After graduating from Georgetown, she started her career in investment banking at J.P. Morgan, followed by a soul searching few years in public education policy work. In 2003, she returned to her finance roots as an executive recruiter for investment professionals and senior management in private equity funds and single family offices across the country. Fifteen years later, in 2018, she launched Plummer Harrington Executive Search. 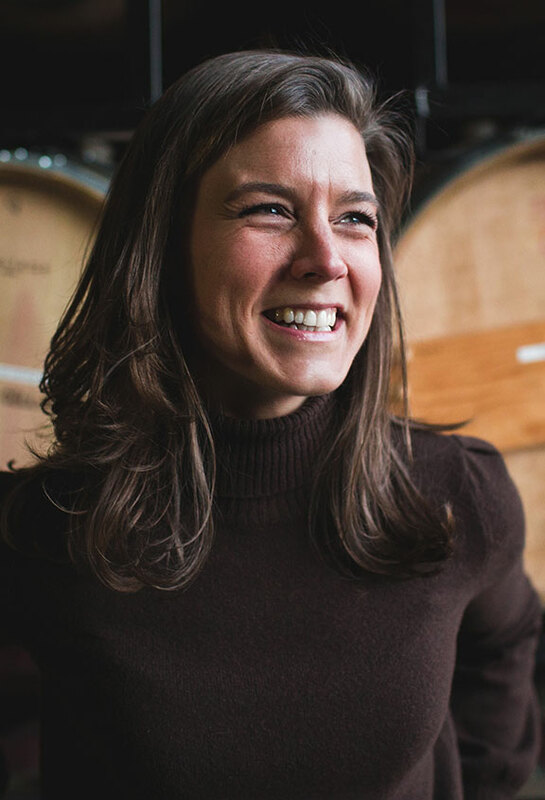 Although her knowledge of wine does seem to grow with each sip, it is not likely that Pam will be directing winemaking efforts at Gramercy any time soon. Instead, she supports Greg in supporting the growth of the business and acquiring vineyards. A native of the Philadelphia suburbs, Pam’s family now lives in Seattle. Pam is proud to have given her father’s name to Gramercy’s “John Lewis” Reserve Syrah. It is largely because of his life’s hard work that Greg and Pam have been able to build Gramercy Cellars. 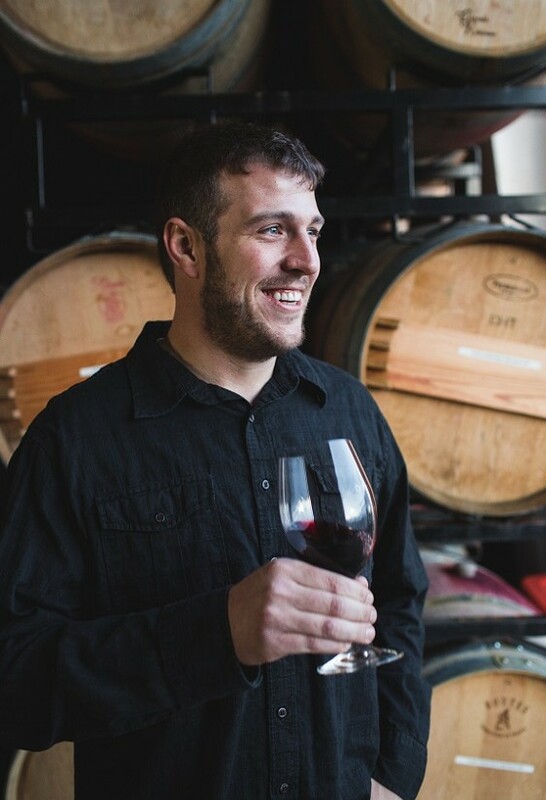 Since joining Gramercy during the 2008 harvest, Brandon has been the assistant winemaker, becoming partner in 2011. Brandon grew up in the Walla Walla Valley on a small family farm, in which his family cultivated plum trees and also raised a wide assortment of farm animals, from chickens to cows to pigs, and even a goat. Opting to part ways with farm life, Brandon made his way to Oregon State University to take dental classes. After four years of smelling people’s bad breath, however, he realized that his true passion did not lie in dentistry—he wanted to create those stained teeth, not clean them! So he switched his major to fermentation science with an eye to becoming a winemaker, a move that put him squarely in the crosshairs of the farm life he had been so eager to leave behind. He graduated Oregon State in 2006 with a degree in food science, an option in fermentation science, with minors in business and chemistry. In 2006, Brandon worked harvest for King Estate Winery in Eugene, Oregon, and soon found himself on a flight to New Zealand’s Marlborough region to work with an enormous contract winery, Indevin. At Indevin, Brandon and the team processed 15,000 tons of Sauvignon Blanc grapes—almost 225 times the amount of fruit processed at Gramercy Cellars in 2008. Brandon still waxes poetic about all of the great, high-tech gear he used at Indevin. After harvest in New Zealand, Brandon made his way back to Walla Walla to work in the appellation he knew so well, and where new and exciting wines were now being produced. In 2007, he joined Waters Winery, where he eventually became cellar master. In 2008, he first assisted Gramercy, particularly during harvest, and in early 2009 joined Gramercy full time as the assistant winemaker. Brandon was named partner in 2011 and co-winemaker in 2016. 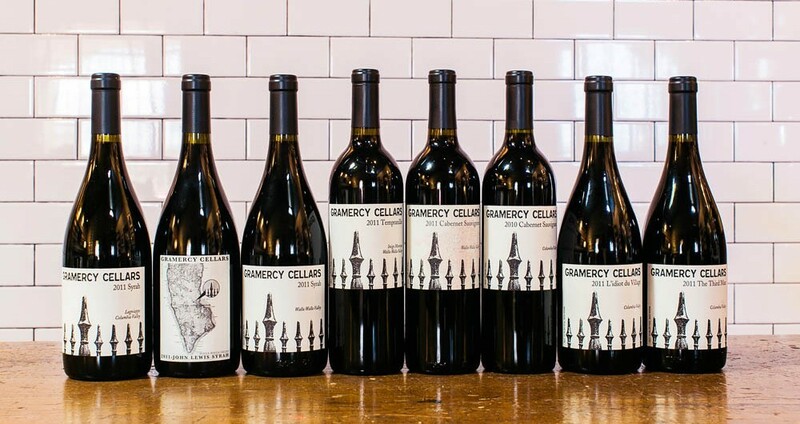 Gramercy Cellars is an 8,000-case winery founded in 2005 by Master Sommelier Greg Harrington and his wife, Pam, to make Rhône and Bordeaux based wines in Washington State. We believe that great wines share common traits: great vineyards, small production, minimalist winemaking, time, and patience. Gramercy’s philosophy is simple: to develop or partner with the best vineyards, harvest ripe, not overripe, grapes, intervene minimally in the winemaking process, and use as little new oak as possible. The resultant wines display balance, intense fruit notes, strong earthiness, restraint, and elegance. Our wines often require time to develop, but reward that with patience. We seek to produce wines that complement food, provide great pleasure, and stand out as uniquely made in Washington. Prior to founding Gramercy, Greg spent his career overseeing some of the most prestigious wine programs in the country, working for top restaurants and chefs such as Joyce Goldstein, Emeril Lagasse, Wolfgang Puck, and Stephen Hanson. Since passing the Master Sommelier Diploma Exam at the age of 26, Greg has been passionate about making wine. His Washington odyssey began in the spring of 2004, at a backyard picnic in Brooklyn, which was hosted by the Walla Walla Valley Wine Alliance. There, Greg and Pam tasted wines that surprised them and were different from what they had come to expect from American wines—these were wines that displayed earthy characteristics and balance. A marathon tasting trip in Walla Walla in southeastern Washington later that spring convinced them that Walla Walla was in their future. At first, this meant “when they retire,” but that quickly became “five years from now.” Meanwhile, Greg worked harvest in 2004 in Walla Walla and became more convinced than ever that Walla Walla was the place in the U.S. to make the wines he loved. Soon thereafter, they decided to seize the opportunity to finally follow their dreams full time. Gramercy had its first harvest in 2005. John Lewis Plummer, Pam’s father and himself an entrepreneur, who spent his life preparing for a time when he could help his children follow their dreams. It is thanks to his love and generosity that we were able to create Gramercy Cellars. Master Sommelier Michael Bonaccorsi, whose untimely passing in 2004 motivated us to found Gramercy Cellars, following his example to start and operate a boutique winery focused on quality, integrity, and sustainability.